If you are an active internet/web user, you must be aware of the potential dangers that lurk online, including harmful malwares, viruses, Trojans, and spyware bots etc. These threats expose your personal data to hackers (unwanted users) and put your privacy at risk. To avoid these risks, it’s necessary to use good security apps that can protect you from all of the above mentioned threats and potential dangers. These security apps allow users to protect themselves not only from harmful online threats but also from physical ones, like a phone being misplaced or stolen. So HackingLoops lists the top Android security apps for android phones. Lookout Security & Anti-virus app for Android is an application that secures Android users from threats such as bugs, Trojans, and viruses that may enter the device through local networks or online. Lookout Security & Anti-virus allows users to protect their vital data and find their phone if they misplace it, and backup their important files and documents in a safer place. Use the Lookout Security & Anti-virus app to scan every individual app you download to make sure the apps are safe from malware, spyware and Trojans. A great feature found in the application is the “Routine Check” that allows users to schedule daily or weekly scans of the apps you download. You can also get automatic, over-the-air protection against the latest threats. AVG Antivirus is the Android based application of the renowned antivirus software for personal computers with the same name. AVG Antivirus app allow users to scan apps, setting files and media card in real-time, allowing you to find any threats in any of them that may put your privacy and vital information at risk of being exposed. Not only applications, the AVG Antivirus application for Android also allows users to screen incoming SMS to detect any harmful threats. The AVG Antivirus also ensures the maximum speed of your phone by giving users a task manager to kill off any apps and tasks that slow the device down. McAfee WaveSecure is an award winning mobile protection app for your Android devices and systems. McAfee WaveSecure gives users the option to secure their personal data on their mobile device, in the event that the mobile may be lost or stolen. In such a case, McAfee WaveSecure can be used to track your device and even wipe all data on the Android device, saving it from any prying eyes. An easy-to-use web portal allows users to backup and restore their personal data. Norton Antivirus & Security is a security application for Android devices with iOS 2.1 and up. The Norton Antivirus & Security allows users to protect their devices from loss of data, in case of theft and malware attacks. One of the best antivirus companies in the world, Norton Antivirus backs Norton Antivirus & Security. Norton Antivirus & Security provides all the features that will be required by an Android user to keep themselves save and secure from malware, Trojans, spyware and other incidents such as theft. The antivirus protection automatically scans the downloaded apps and app updates against any potential harmful threats. It also searches for and removes mobile security threats that may tamper with your phone in order to achieve your personal information. Norton Antivirus & Security allows users to scan the SD card for any harmful threats. Norton Antivirus & Security also allows users to lock their devices and remote wipe any confidential data found on the device if their devices are misplaced or stolen. The Mobile Security & Antivirus provides the users with two basic functions that keep vital information safe and secure from all kinds of threats. These two functions are that of – Antivirus protection and security. The Mobile Security & Antivirus protects your Android device free from viruses and saves your battery life, an essential, helpful feature when you require battery life and have only a little left. Use the Mobile Security & Antivirus’s malware scanner feature to scan apps as you download them to check for any harmful threats that may put your privacy at risk, including your confidential data such as passwords and emails. Avast! 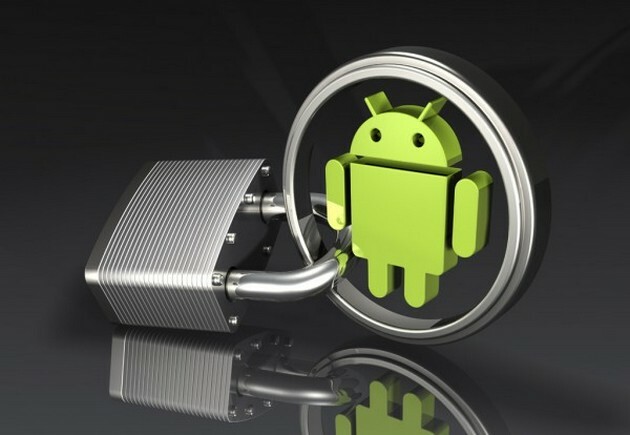 Mobile Security provides Android users with OS 2.1 and up with protection from viruses and theft security issues. Use the Avast! Mobile Security to protect private data with automatic virus scans and find infected URLs before they infect your mobile with malware and spyware. Use the SMS commands to wipe, lock and GPS track your Android device in case if it is stolen or misplaced somewhere outside home. You can also use the “Activate Siren” feature to turn on a loud siren allowing you to locate your mobile phone – a helpful feature if the phone is misplaced somewhere inside your home. Avast! Mobile Security application also allows users to screen incoming SMS and phone calls. Use parameters to direct specific unwanted calls to voicemail. The NQ Mobile Security & Antivirus is a total mobile security solution for Android devices, protecting them from harmful threats such as malware, spyware and Trojans while also allowing users to monitor their devices to ensure maximum speeds. Use the NQ Mobile Security & Antivirus app to browse the internet safely without having to worry about phishing, fraud sites and malware that lurk on the internet. The app is updated regularly, keeping in track with all the latest viruses and threats discovered. Use the Network Manager to track your traffic consumption over a period of 30 days and keep up on the trend and statistics as well. Use the Backup & Restore feature present in the NQ Mobile Security & Antivirus app to backup and retrieve contacts and messages found on any of your mobile device – iOS, Android, Blackberry or Nokia. Let me know if we missed one! Nice .. I learn a lot here! !